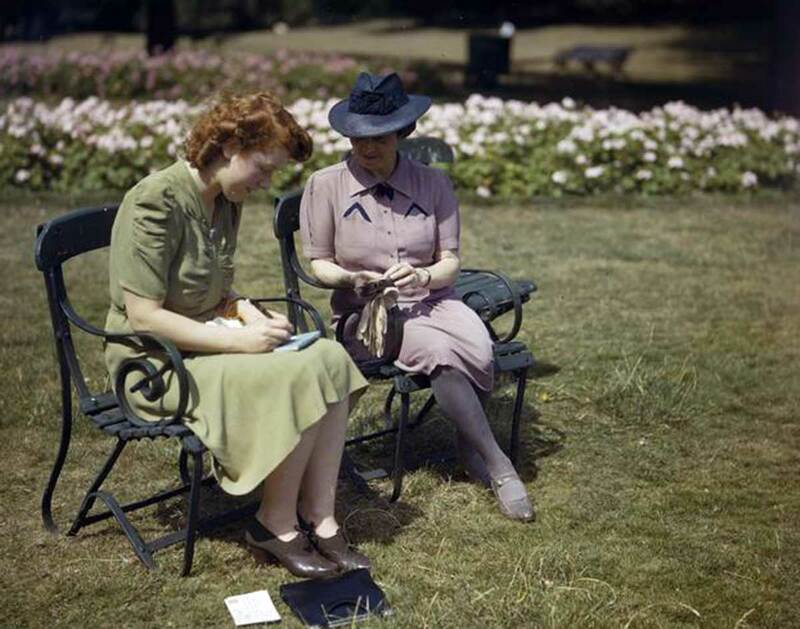 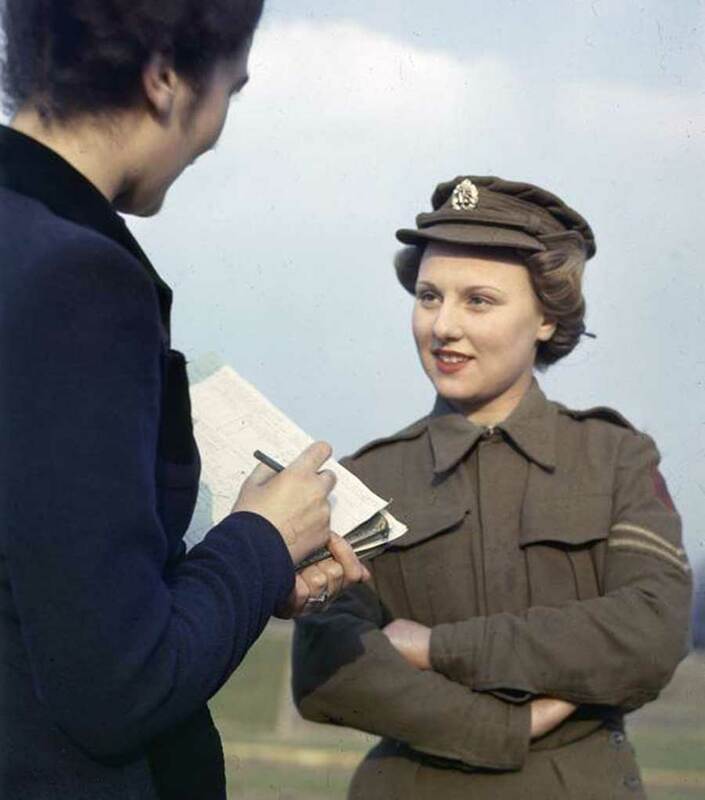 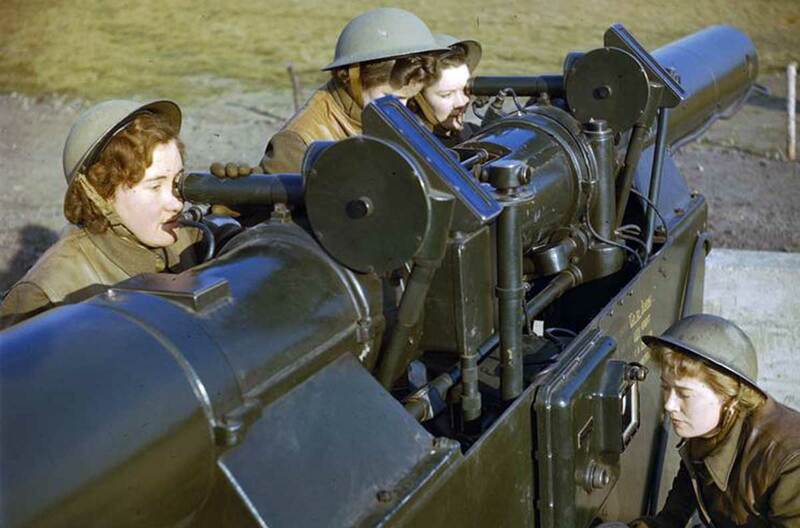 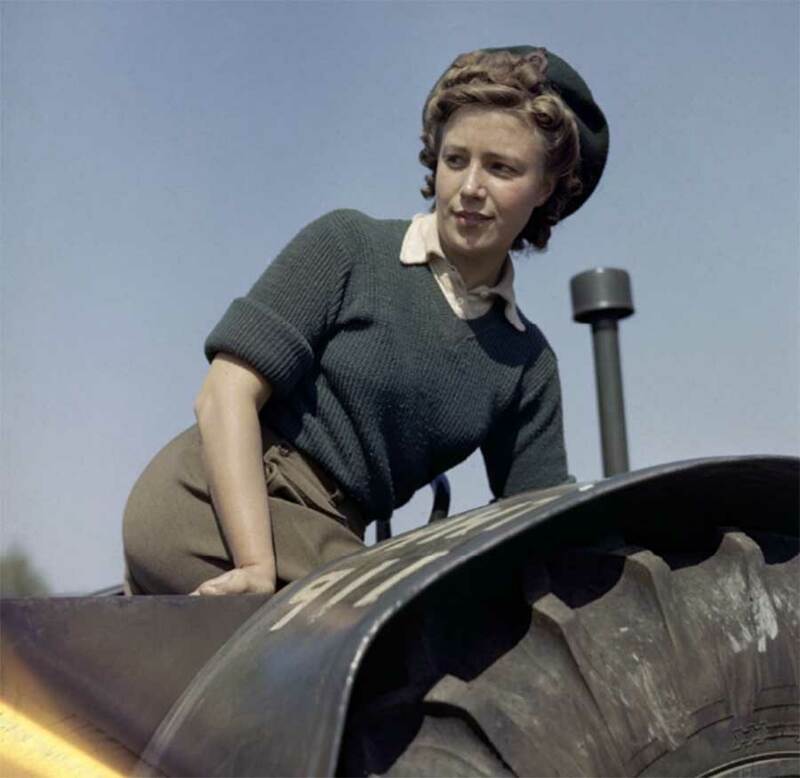 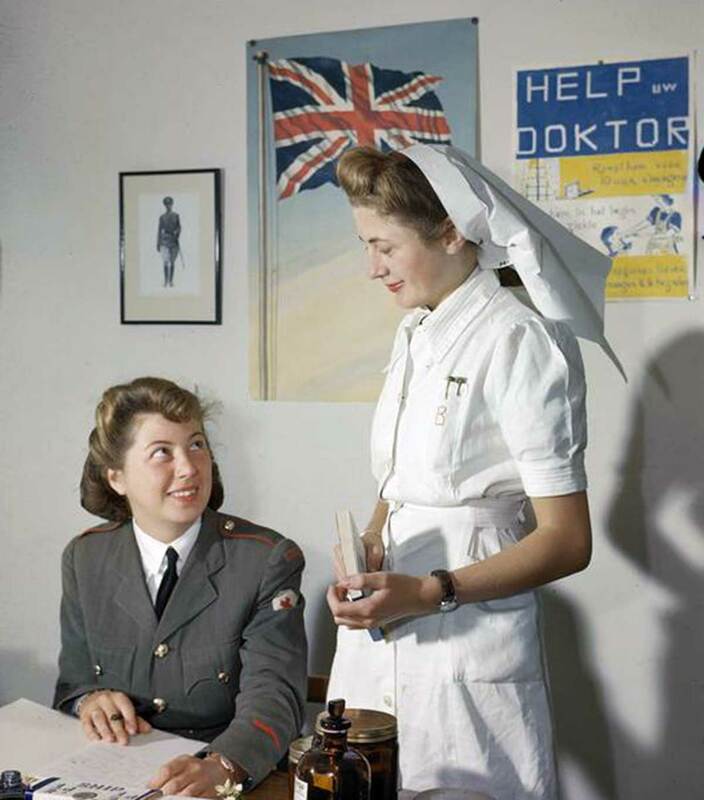 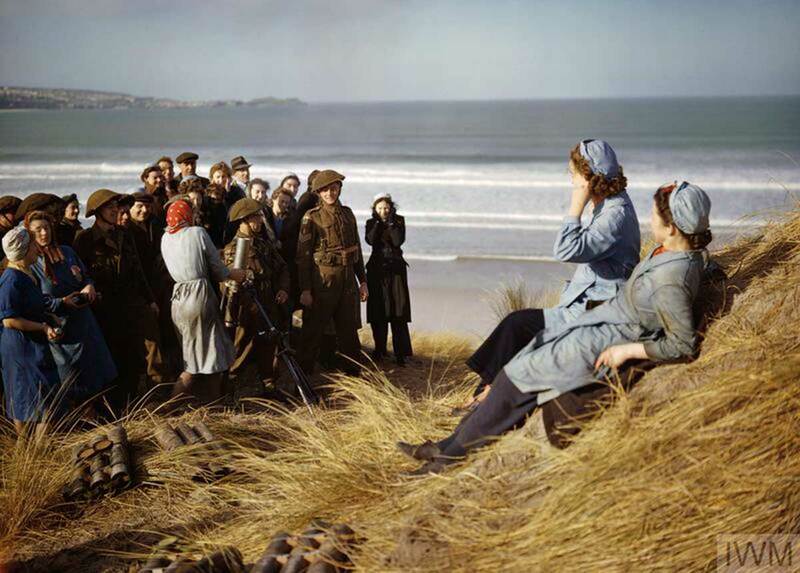 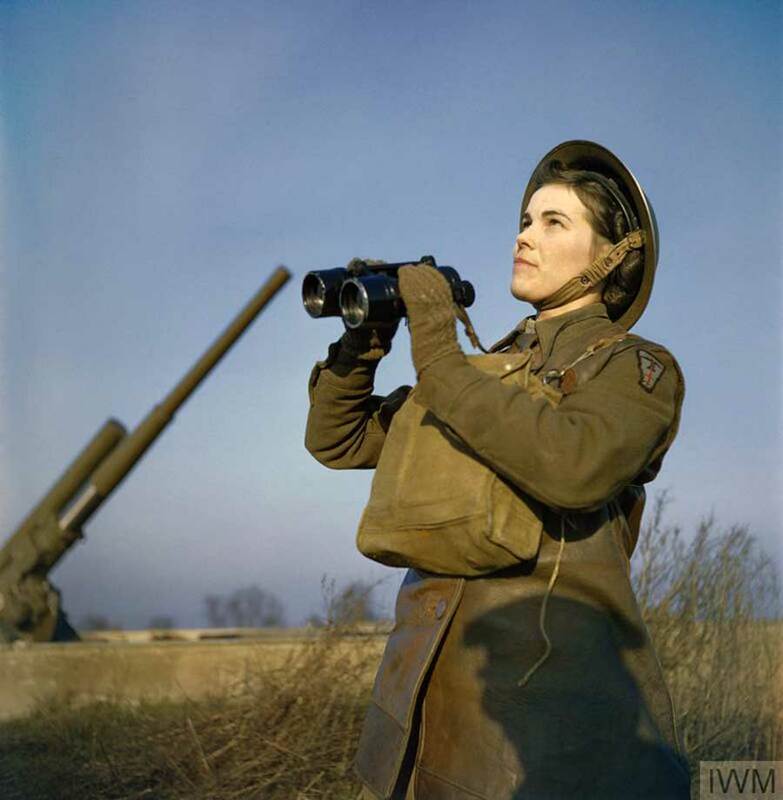 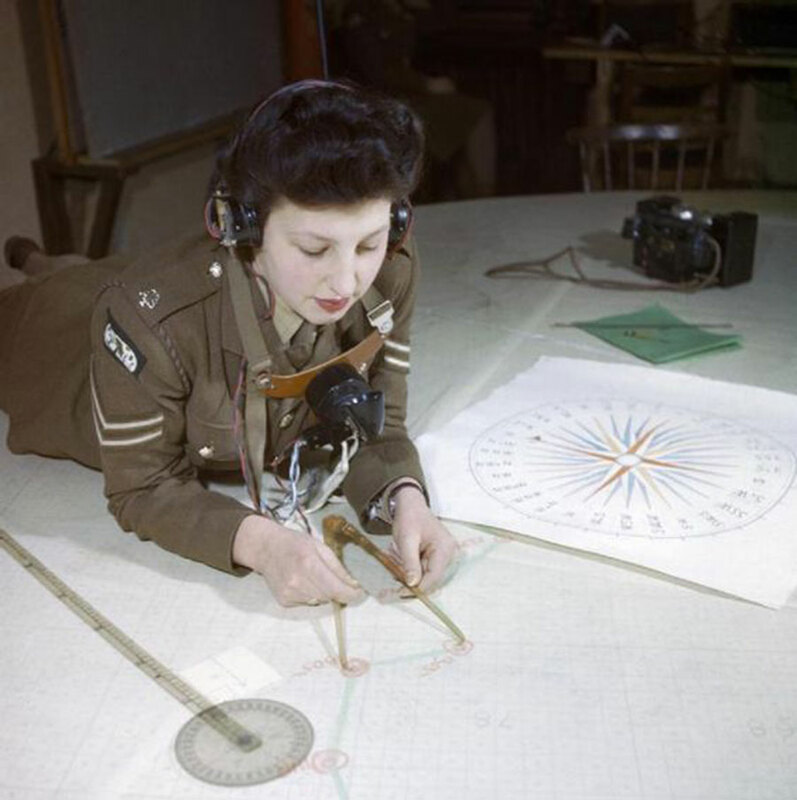 In anticipation of our 1940’s Wartime Women’s Guides packs, here are some marvelous color photographs held by the Imperial War Museum. 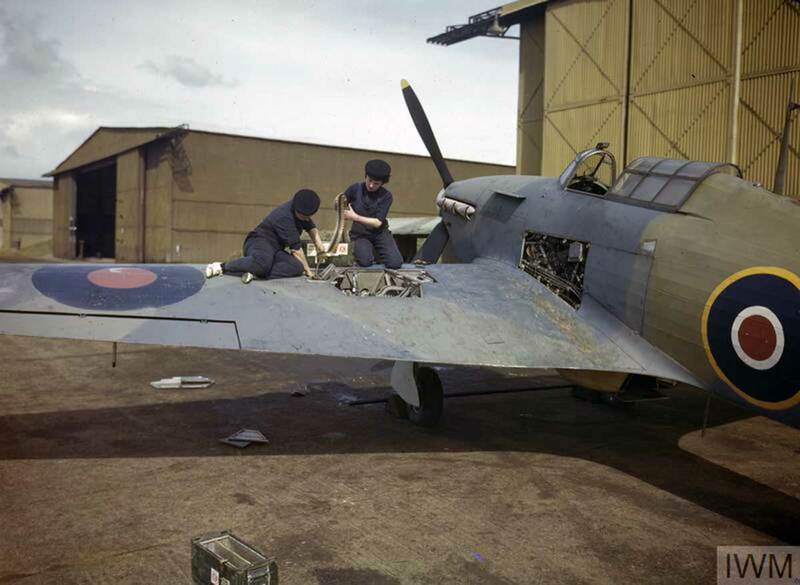 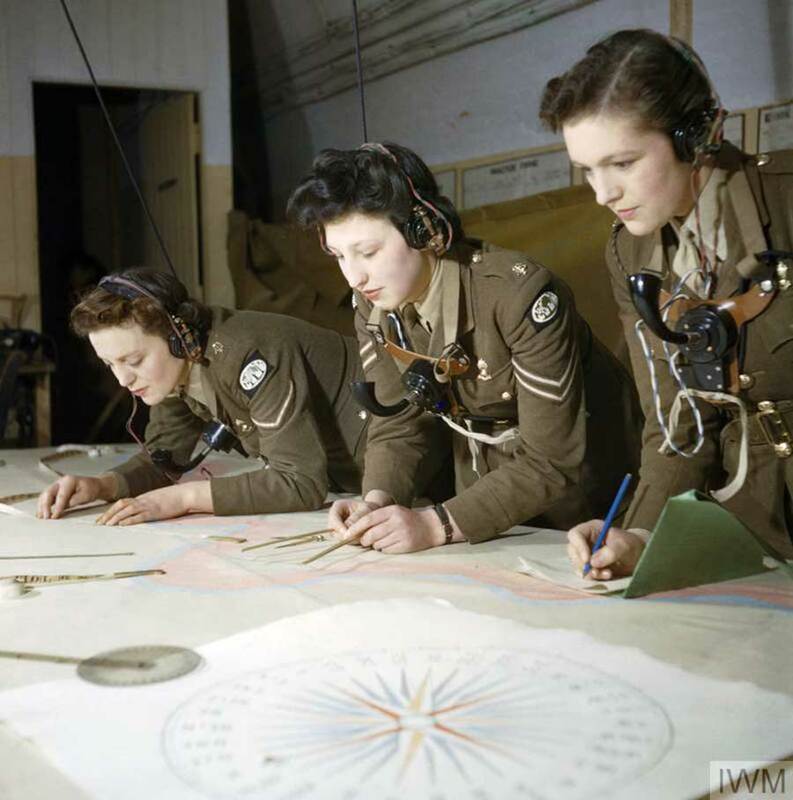 They are part of the IWM collection ‘Ministry of Information Second World War Colour Transparency Collection‘. 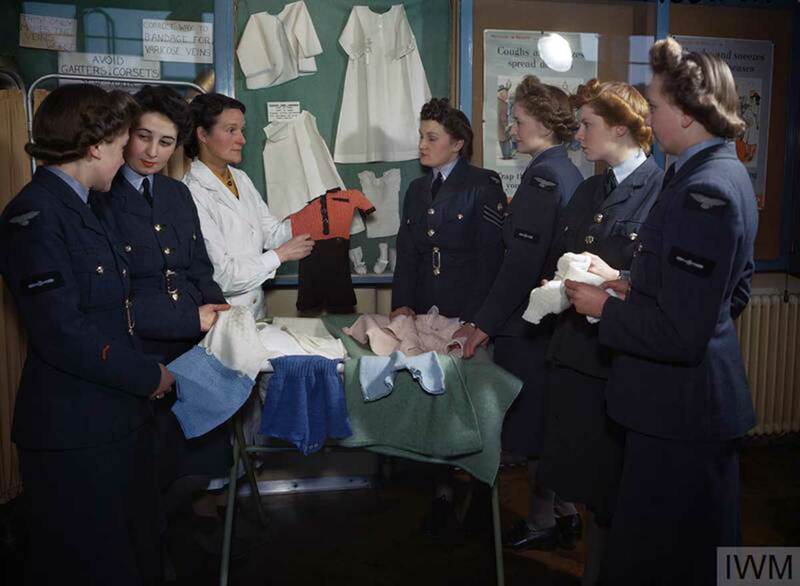 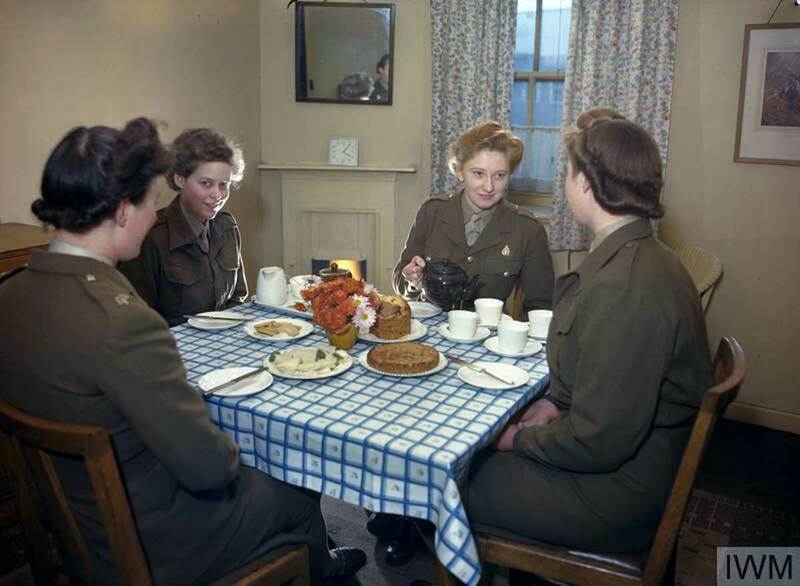 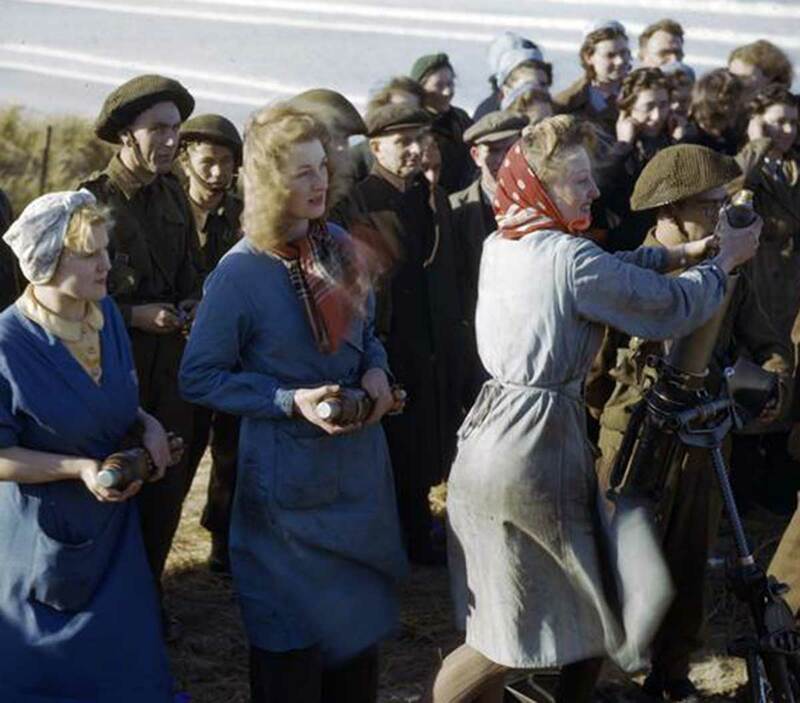 Featured are girls from the Women’s Land Army ( Land Girls) , Women’s Auxiliary Air Force (WAAF), the Auxiliary Territorial Service (ATS), and the Womens Royal Navy (WRNs) . 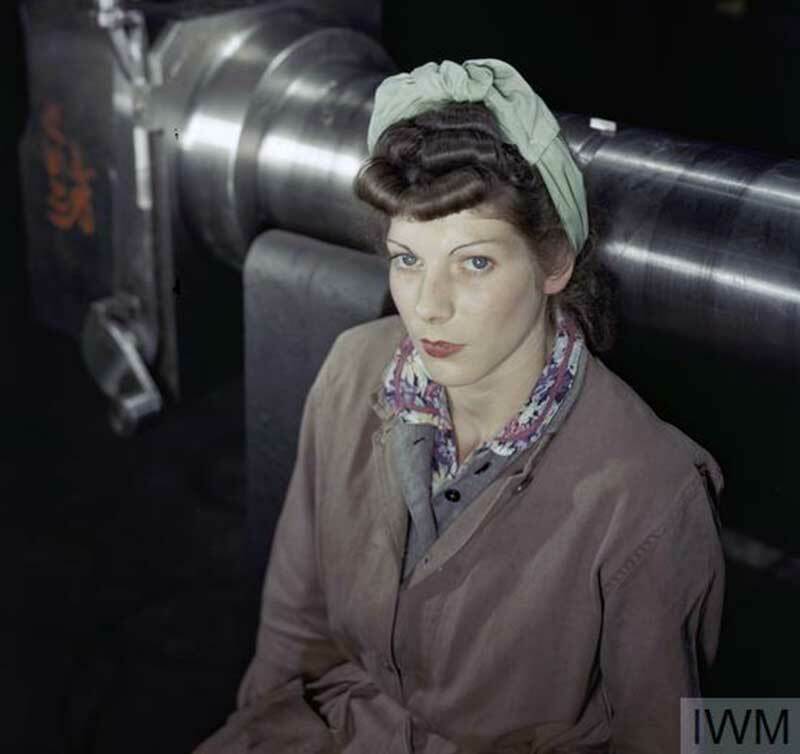 All Images held by the Imperial War Museum.